← What’s the first thing you do after closing? What are YOUR responsibilities while in escrow? While there are many steps to the process of purchasing your home, one of the last steps is the time in which your loan is being processed. This time is referred to as “being in escrow”. This occurs after your purchase offer has been accepted and after you have provided your earnest money to your escrow agency. You need to remain accessible to your agent during this time, make sure they know the best way to reach you, in case anything comes up that needs answered. Don’t take extended leaves where you may not be able to be reached. Most importantly, respond to any correspondence from your real estate agent, title agency, escrow agency, and mortgage lender promptly. Any delays can delay your closing and ignoring the requests may result in your deal falling apart. While your lender is busy processing your loan, it is imperative that you do not do anything that would change your financial situation. You want your financial situation to mirror what it looked like at the time you were prequalified. Lenders check your financial status at prequalification and again at the beginning and the end of the loan process. If any large discrepancies occur between any of these time periods, you may be at risk of losing your loan. 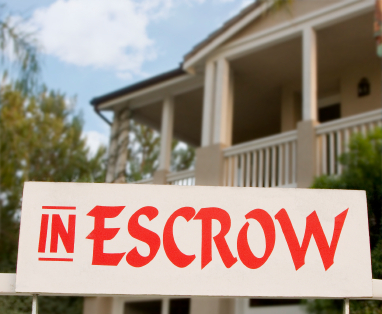 Being in escrow may be nerve wracking, but it is also exciting because it is the final stage to get you to the closing table and into your new home. Remember you may not be able to control all the problems that may come up during this time, but you can do your part to make the process go as smooth as possible by staying on top of correspondences and making sure you do not do anything that could jeopardize your loan. If you are unsure of what you should or shouldn’t be doing, or need questions answered so you feel secure and comfortable call one of your team members in the process. Better yet, call one of our professionals at Title Junction so we can assist you in any way possible. We can be reached at 239-415-6574 or jferri@title-junction.com. Posted on June 15, 2012, in Title and tagged Bills, Buy a Home, Buyer, Closing, Closing Costs, Credit Report, Earnest Money Deposit, Escrow Agency, Escrow Agent, Jennifer Ferri, Lender, Loan, Mortgage, Pre Approval, Pre Qualification, Property Guiding, Property Taxes, Real Estate Agent, Realtor, Seller, SWFL Real Estate, Title Agency, Title Insurance, Title Junction, Title Work, Transfer Funds. Bookmark the permalink. Leave a comment.